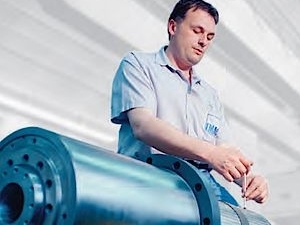 Reduce machine downtimes, cost-effectively, by replacing a complete production module. Instead of replacing or repairing an individual part, we replace and install an entire module. Although costs for this are higher at first, you will benefit from shorter machine downtimes and replacement modules that have been completely updated and verified. The replacement modules represent an efficient and fast alternative to the removal/repair of individual spare parts. The replaced subassemblies are repaired and updated at EMAG, then available as like-new spare parts. The components are state-of-the-art, pre-assembled and tested. You are provided with quality and reliability directly by the manufacturer.